2016 has been a pretty good year when it comes animated theatrical releases, with movies like Zootopia from Walt Disney Animation Studios and Kubo and the Two Strings from Laika Entertainment exceeding expectations for critics and general audiences around the world. Both movie proved to be critically and financially successful releases, and have since gone on to become frequently cited favorites of the entire year among the most dedicated cinephiles and film lovers. On that note, it was only a matter of time before the official nominees for the 2017 Annie Awards would be announced on the behalf of the International Animated Film Association; an awards ceremony founded in 1972, as a part of a continued annual effort to celebrate lifetime and career contributions within the field of animation. Since 1992, the ceremony has seen fit to recognize individual films from each year, and the latest word has two notable 2016 releases in a tight race towards the finish line. According to Variety, Zootopia and Kubo and the Two Strings are current frontrunners for the Best Animated Feature at the 2017 Annie Awards, with the former Disney release having edged past the latter with a total of 11 nominations compared to Kubo's 10. In addition, the other top contenders include Finding Dory from Pixar, Kung Fu Panda 3 from DreamWorks Animation, and another Disney release in the form of this past holiday weekend's release, Moana. In the past, Annie Awards winners have reflected the most likely Oscar hopefuls in the Best Animated Feature category - despite an irregular upset in 2006 when Cars got the Annie and Happy Feet got the Oscar - and as such Disney and Laika can expect to be the two most competitve animation studios to watch out for during the 2017 awards season. 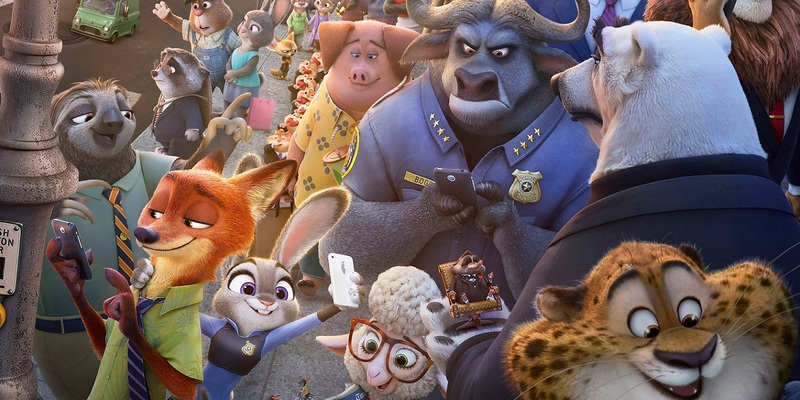 Zootopia and Kubo and the Two Strings were commensurately applauded by critics, but Disney's staggering box office numbers might give the former production a slight edge in the end. Only time will tell who will go home with the Annie and the Oscar for Best Animated Feature, though it's hard to doubt that the two awards will likely go to either Zootopia or Kubo and the Two Strings. Other 2016 animated features like The Secret Life of Pets from Illumination Entertainment and the Seth Rogen musical comedy Sausage Party may have been equally liked by general audiences, but Disney and Laika appear to have produced the clear frontrunners, when it comes to serious awards season consideration.